If you wish to put in a maker space order, please contact Stacy Lickteig and she will assist you. As schools seek to become Future Ready, it is necessary to identify and cultivate leadership beyond district and building leaders. School librarians lead, teach and support the Future Ready goals of their school and district in a variety of ways through their professional practice, programs and spaces. If properly prepared and supported, school librarians are well-positioned to be at the leading edge of the digital transformation of learning. 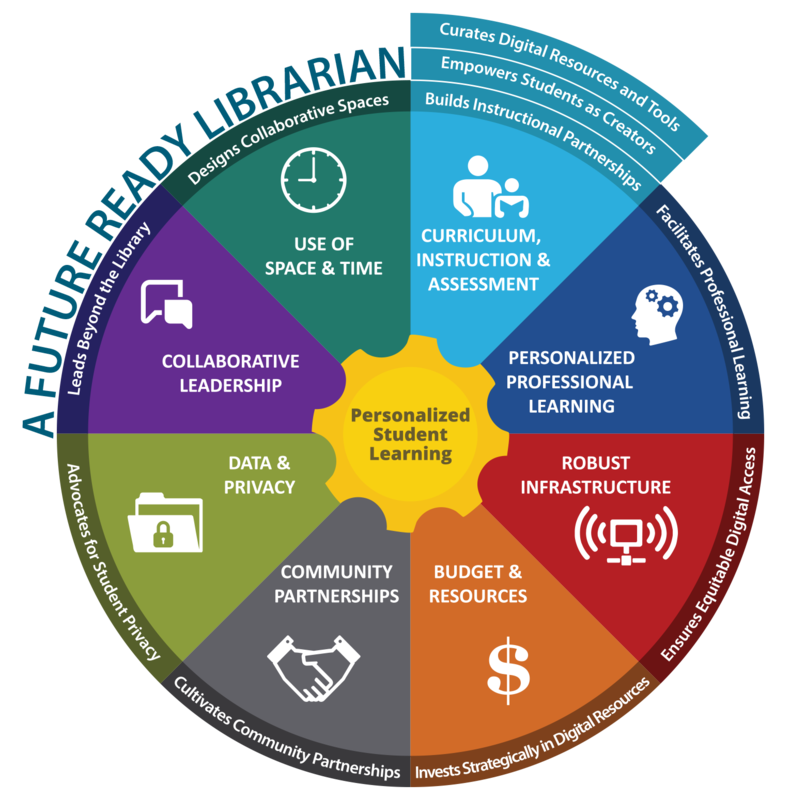 Future Ready Librarians is an expansion of the Future Ready initiative aimed at raising awareness among district and school leaders about the valuable role librarians can play in supporting the Future Ready goals of their school and district. Two guiding questions are central to Future Ready Librarians. How can librarians and libraries support Future Ready schools? How can librarians and libraries become more Future Ready? Future Ready Librarians will provide resources, strategies and connections for district leaders and librarians to be able to work together to promote and implement innovative learning opportunities for students. While on a visit to Dodge Elementary, I saw some really great opening activities from Carrie Turner. She started the class with guided breathing to help students stay focused during the lesson. She uses Airtime from GoNoodle. She also had students participate in an interacting listening activity to help them work on their listening skills in preparation for the lesson. Students listened to identify a sound in the video. Maker Camp provides a simple, enjoyable way for students to get involved in making. A worldwide network of affiliates host Maker Camps in public libraries, community groups, makerspaces, and maker homes. More than 1 million children have participated in Maker Camp since it launched in 2012. From the “way-out sound” of a Fruit Piano to potent little Seed Bombs, cool projects await students on Maker Camp’s website. Students simply pick a project and start making! This could be a fun literacy activity for students in most grades. Have them write a six word memoir about a character in book they read. This could make a great display or journal entry. This is for personal items only. District electronics items are to be surplused following district guidelines. Just an FYI in case you might be interested. “The future belongs to those who understand technology”… It is also important to know the harmful effects that improper electronics disposal has on our environment. Cross Electronic Recycling is pleased to partner with Do Space, because we care about the environment and everyone who lives in it. On April 29th from 9am – 1pm we are hosting an electronics recycling event. 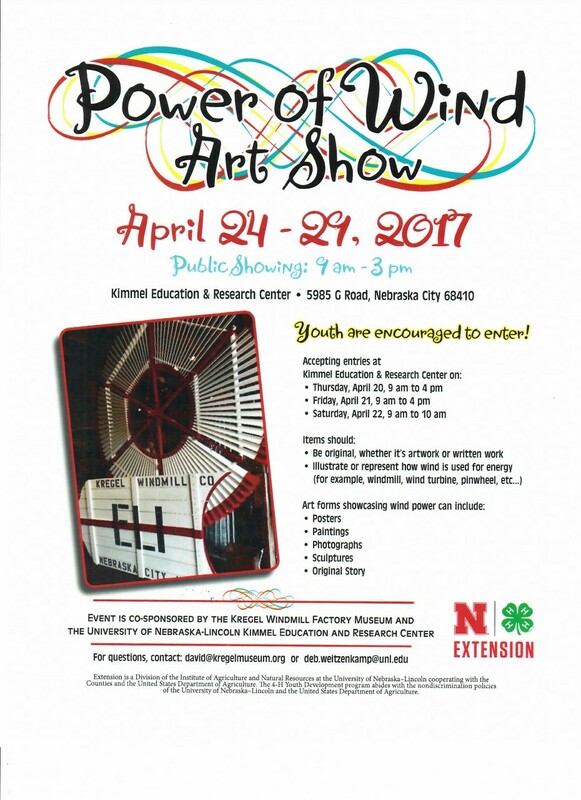 Cross Electronic Recycling (Omaha’s only non-profit electronic recyclers) will be at Do Space to collect your obsolete, broken or unwanted electronics. Anything with a battery, motor or cord can be dropped off FREE of charge* (*Environmental fees charged for CRT items and alkaline batteries ). Two facts about the growing e-waste issue in America: In 2009, discarded TV’s, computers, printers, scanners, fax machines, mice, keyboards, and cell phones totaled about 2.37 million short tons (This amount has GROWN INCREDIBLY since then). At that time in 2009 e-waste represented only 2% of trash in America’s landfills but equaled 70% of overall toxic waste. We are hosting this event to safely recycle and process your e-waste items. While most items will be FREE to recycle, some items will have a modest environmental fee to cover costs only. CRT monitors are $10 each (up to 15”) Larger are $15. $50 up to 60” and so forth. Donations can be dropped off in the Do Space parking lot. Just look for the Cross Electronics Recycling truck!